Our next screening is a special event in aid of the village hall. 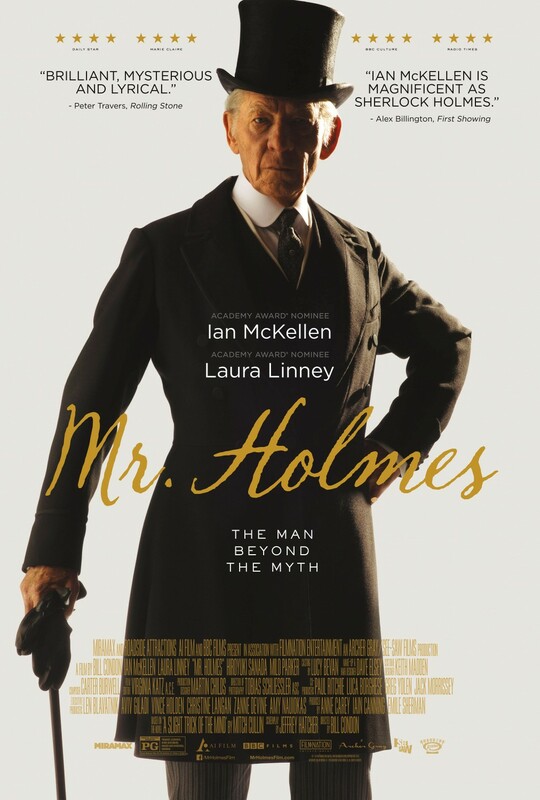 We’re screening the acclaimed Mr. Holmes, directed by Bill Condon and starring Sir Ian McKellen and Laura Linney. This creative re-imagining of the Sherlock Holmes story is set in 1947 in the twilight of the world famous sleuth’s career. Holmes has retired to a remote Sussex farmhouse, living in relative anonymity with his housekeeper and her young son. Frustrated with Watson’s misrepresentation of his celebrated casework in the doctor’s best-selling novels, Holmes turns his attention to an unsolved case, which ultimately led to his retirement. In addition to the usual refreshments we’ll lay on a bar and we’re hosting a film quiz to raise additional money. The idea is simple enough: quiz sheets will be available to buy on arrival at the screening and participants will have an opportunity to fill in their answers before the film gets underway and during the intermission. There’s no rule against conferring or sharing answers: teamwork is positively encouraged and you can enter as many quiz sheets as you like. We’ll collect entries at the end of the night before revealing the answers. Quiz sheets will be scored after the screening and a cash prize of £20 will be sent to the winner. A tie breaker question will be used in the event of two or more entries sharing the same score. So do join us for what promises to be another fun night in the village hall. Tickets are available by emailing llancarfancine@gmail.com or call 01446 781 144.